The dress rehearsal for the club display on Sunday 4th December will be a closed rehearsal. We want our display to be a surprise and therefore nobody will be allowed to remain within the hall. Please remember all gymnasts should attend the rehearsal as this will be our only opportunity to rehearse all together. Gymnasts will receive their costumes on this date! Thank you to everyone who has already purchased raffle tickets for our Christmas hampers. We have already raised £60.00 which will be spent on prizes for our Christmas party! The raffle will be drawn at the club display so we will keep selling tickets up until then. Thank you again for your support. At our display we are going to have a home baking stall to raise funds. Any donations to this stall would be greatly appreciated! If parents/carers could hand in any donations when dropping gymnasts for warm up at the display, that would be perfect. We will be having an interval during which tea and coffee can be purchased along with the home baking. Also, at the club display we are having a raffle. Thank you to everyone who has already contributed to this. If anyone has any prizes they would like to donate please give these to a coach at any session or hand them in on the day. We have some great prizes up for grabs already including vouchers from Aspire Leotards! Thank you to everyone who purchased tickets for our display on Saturday 10th We really appreciated your continued support! 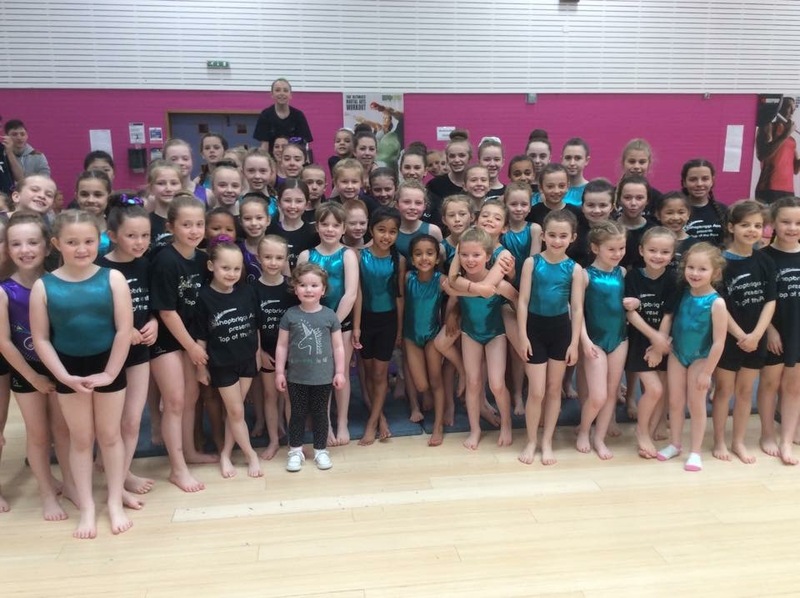 Our gymnasts have been working hard and are we’re looking forward to showcasing their skills. Gymnasts should be dropped at 16:00 and the display will begin at 18:00. Audience will not be permitted to enter the hall until 17:45. Please ensure gymnasts are dropped on time to give us as much preparation time as possible. Our Christmas party will be held on Thursday 15th December in The Leisuredrome, Bishopbriggs – 18:00 – 20:30. All gymnasts are welcome regardless of normal training sessions. This will be a fun filled session with party games and as always lots of prizes! Gymnasts should wear normal training attire as lots of the games are gymnastics based. This will be our final session for gymnasts unless highlighted below. The Scottish Invitational is taking place on Saturday 21st and Sunday 22nd January. This means on return after Christmas we will only have two and a half weeks prior to competing. Therefore it is crucial that our gymnasts attend the sessions outlined above. Also, gymnasts at this level will be expected to continue home training throughout the holiday. All gymnasts will return to training on Thursday 5th January. We hope all of our gymnasts, parents and carers have a lovely Christmas and a happy new year. Thank you! There is a new Tumble National Development Plan which most of our tumblers will now be aware of. This means that from next year the tumble runs will be different from previous years. This also applies to the range and conditioning test. The range and conditioning test will take place on Sunday 29th January 2017. All gymnasts wishing to compete at the Scottish NDP Qualifiers on 25th February 2017 must attend and pass the range and conditioning test. We would encourage all of our gymnasts (even those who will not be competing) to practice this sequence at home. If gymnasts have any questions regarding the new runs please ask a coach at any training session. Thank you! Tickets for our ‘Winter Wonderland’ display are now on sale and are selling very quickly. Tickets are currently limited to 2 per gymnast until Monday 14th November. Thereafter any remaining tickets will be sold on a first come first served basis. We would advise that tickets are bought this week to avoid disappointment! 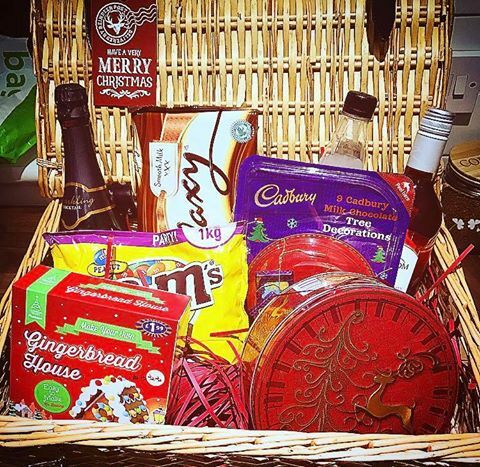 Buy your raffle tickets at any session to be in with the chance of winning one of our Christmas hampers! Tickets are £1.00 per strip and all profits will be used to buy more prizes for the gymnasts Christmas party. This year our Christmas party will be held on Thursday 15th December at The Leisuredrome – 18:00 – 20:30! The party is for all gymnasts regardless of normal training sessions. 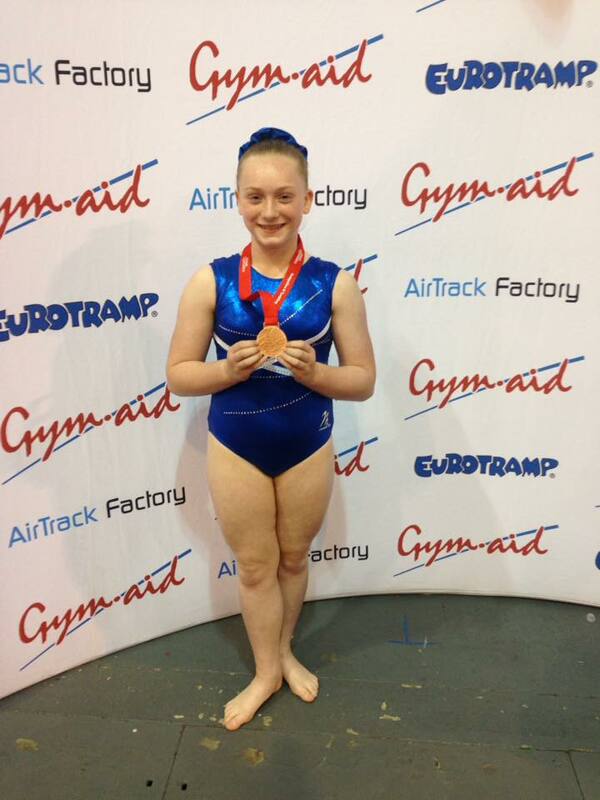 Please ensure gymnasts wear normal training attire as lots of the games are gymnastics based! 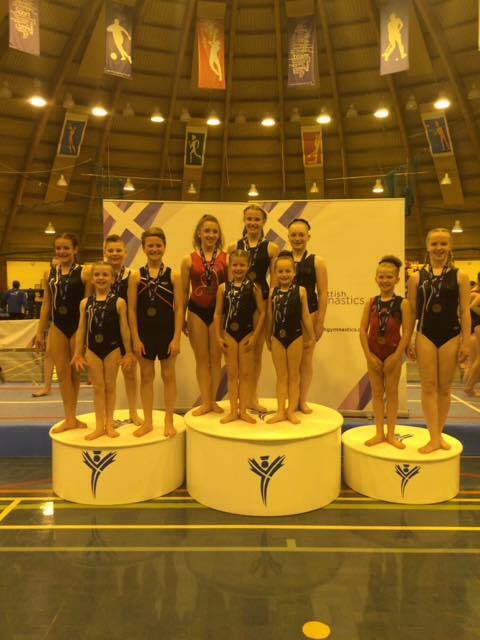 A huge congratulations to all of our gymnasts! This is a fun Christmas competition which we’re sure all our gymnasts will enjoy! Please put tinsel round buns to join in with the Christmas theme – all partners must be matching. 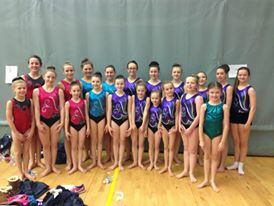 We have arranged an additional training session at Kelvinhall only for gymnasts competing in the Jumblies. This is being held on Wednesday 23rd November 19:00 – 20:30. This session is for full partnerships only so please advise your partner if you can’t attend.